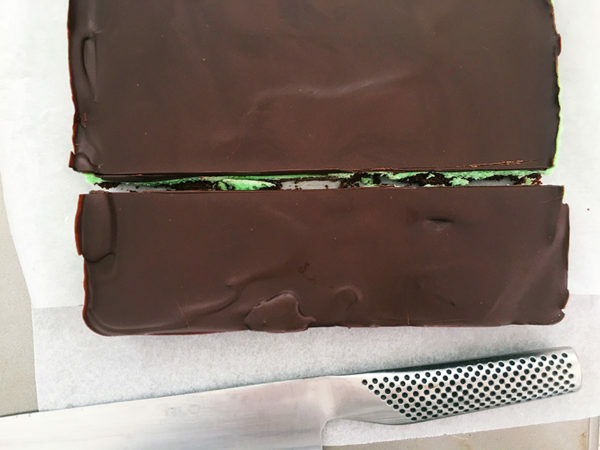 Points of difference worth noting between this choc mint slice and my nana’s – the centre is more solid, less runny and messy – and is most definitely dyed green. Because we all know the colour green is the international sign for mint. Yes? 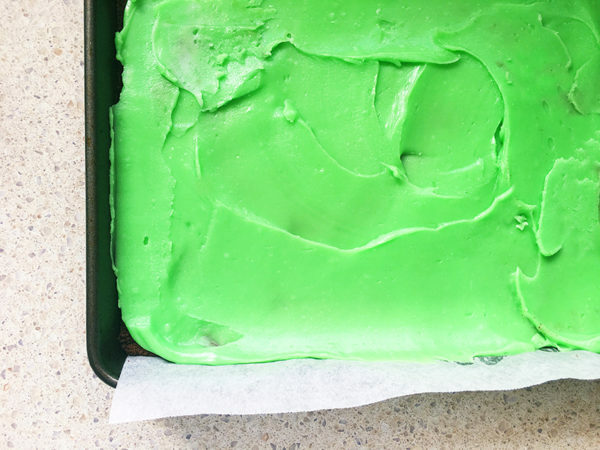 While it’s less messy than Nana’s, hands down it’s just as yum, so without further ado, hop to it! 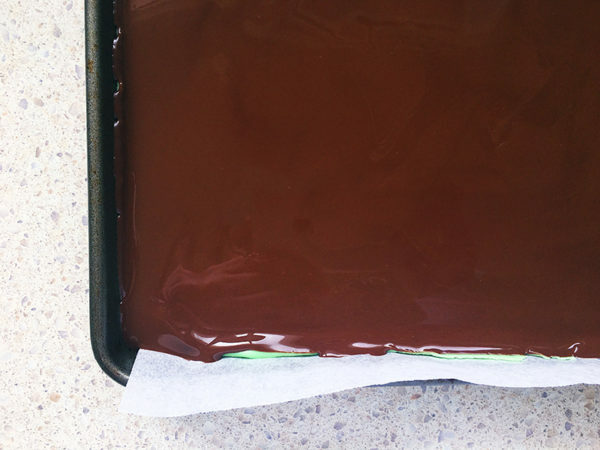 Grease and line a 20cm x 30cm lamington pan with baking paper. 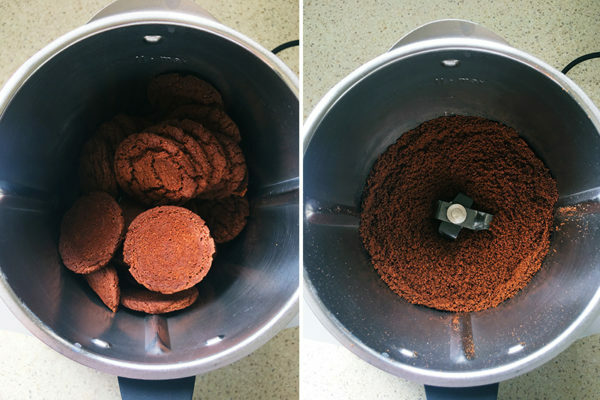 Put the Choc Ripple biscuits in a food processor and blitz until they become fine crumbs. 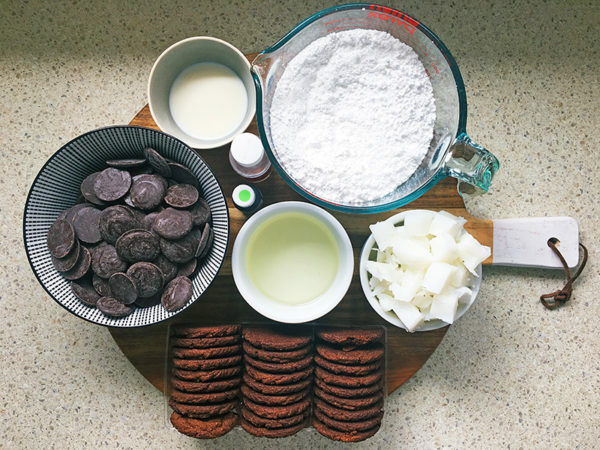 Add the melted Copha to the crumbs, mixing until combined. Press the biscuit crumb firmly into the base of the tin. Pop in the fridge for 30 minutes to chill. In a small saucepan, combine the icing sugar, milk and half of the chopped Copha over low heat. Stir until the Copha melts and the mix becomes smooth. 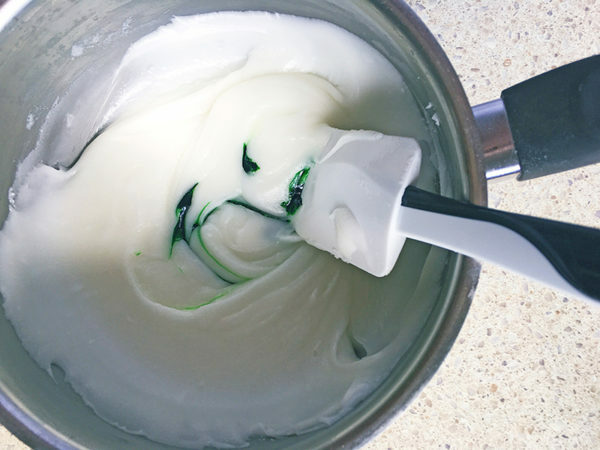 Add the peppermint essence and food colouring, quickly mix through and pour over the biscuit base, spreading it evenly across the base. Chill for an hour to set. 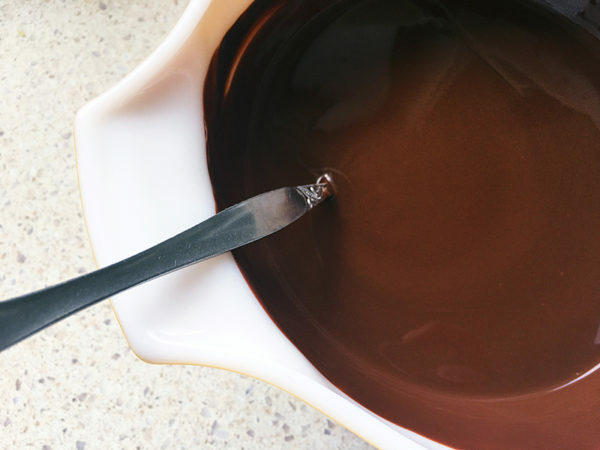 Over a double boiler set up (a heat proof bowl on top of a shallow pot of simmering water), melt together, stirring the chocolate and the remaining Copha until both have completely melted. 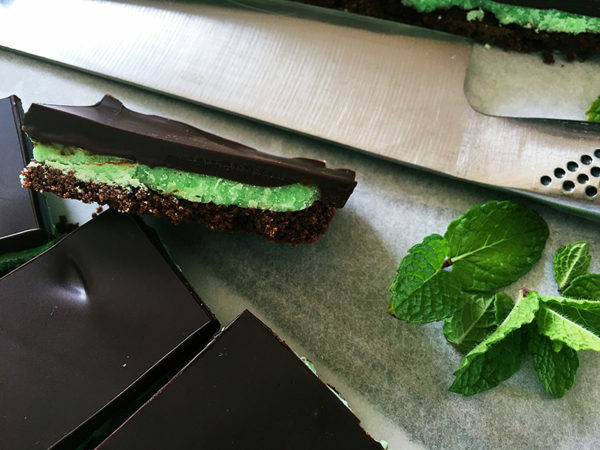 Pour the chocolate over the mint layer and quickly spread it out before it sets. Chill for another couple of hours to set completely. 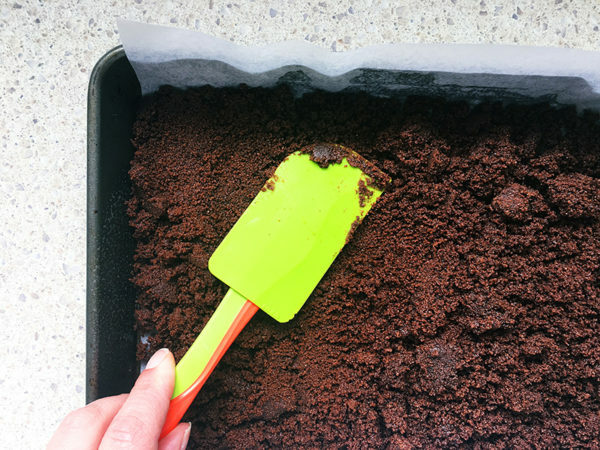 When ready to slice, using a hot, dry knife helps to cut through the chocolate layer – though do be prepared for a few rustic looking pieces – as well as neat ones!